Emotional Literacy is our ability to recognise, understand, handle and appropriately express our emotions. Weare defines emotional literacy as “the ability to understand ourselves and other people, and in particular to be aware of, understand and use information about emotional states of ourselves and others with skill and competence. It includes the ability to understand, express and manage our own emotions and respond to the emotions of others in ways that are helpful to ourselves and others.” Antidote provides another similar definition in saying that emotional literacy is the practice of interacting with others in a way that builds understanding of our own emotions, then using this understanding to shape our actions. Emotions are an integral part of human nature. Through emotions, we respond to life in many different ways — with anger, happiness, fear, love and loneliness. Emotions influence our thoughts and actions; they inspire our needs; they affect our bodies and impact on our relationships. Many of the problems in modern society are due, at least in part, to people being unable to understand and appropriately express emotion. Emotional literacy is a preventive tool, which properly understood, can help solve many social ills — violence, illness, drug abuse, dysfunctional relationships, and global societal conflicts. On the other hand, people who deal with emotions in a positive way find tremendous benefit. Emotional literacy can contribute to health, to positive relationships, to success, and to quality of life. Understanding emotional literacy is key to helping young people develop self-esteem, self-control and become socially and educationally successful. Claude Steiner defines the distinction between emotional intelligence and emotional literacy: emotional literacy is emotional intelligence with a heart. The impact of emotional literacy on learning. Our emotions impact our readiness and ability to learn; feeling safe is vital within the school environment. A child who does not feel emotionally safe, valued or listened to may enter the classroom feeling frustrated, angry, distracted or withdrawn, particularly when he is attempting to learn a new concept. Equally, a child who has too much on his mind (perhaps he is worried about the argument he saw his Mum and Dad have that morning, or he fell out with a friend yesterday and is anxious he may not have anyone to play with at playtime), may be unable to learn. If this is the case, then the student is in danger of not reaching his academic potential. When running circle times in schools internationally, I am regularly aware of children’s reluctance to put their hand up and answer questions, particularly after the age of eight. Many have learnt that the classroom is a dangerous and unsafe place and that if they were to risk answering a question they might open themselves to sniggers , putdowns and laughter and perhaps jibes later from their peers or even sarcasm from the teacher, if the answer was wrong. 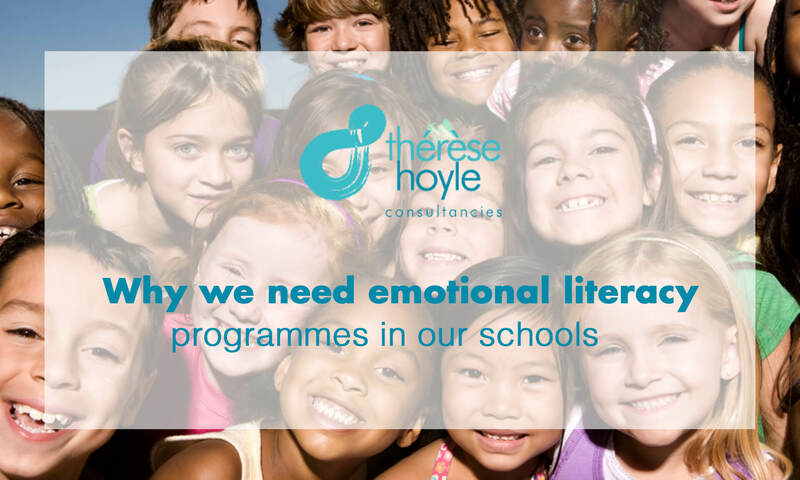 Why do we need a programme of emotional literacy in our homes and schools? Mental health statistics point to a need for greater investment in child and adult emotional literacy programmes. According to the Mental Health Foundation, studies suggest that one in five children are likely to experience some kind of significant mental health problem before they reach adolescence. With an emotional literacy curriculum, children become resilient and optimistic learners who are able to recognise how their emotions impact themselves and others. ”With an emotional literacy curriculum, children become resilient and optimistic learners who are able to recognise how their emotions impact themselves and others. This leads to the development of Goleman’s five “domains” of EQ: 1. Knowing your emotions. 2. Managing your own emotions. 3. Motivating yourself. 4. Recognizing and understanding other people’s emotions. 5. Managing relationships, ie., managing the emotions of others. The following quotation from Bluestein by a student clearly describes some of the factors that contribute to emotional safety. A safe learning environment is thus crucial to students achieving their full potential. Taking risks in their learning, asking questions even if they think they might be silly ones, going to see a teacher if they are unsure of something or want to change subjects or classes, having someone to listen to their worries, fears and concerns is all essential to a student’s success. Circle Time and one-on-one listening programmes enable children to develop their emotional literacy skills and to have an outlet to talk about their big feelings. We all need help to reflect on our intense feelings, otherwise we are left to discharge or defend them. Therese Hoyle has over 25 years experience teaching in mainstream, special and higher education. 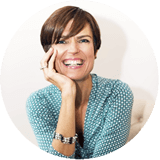 For 21 years (and counting) she has worked as an education consultant, coach and trainer with over 450 schools and organisations, 50 local education authorities and 14,500+ individuals nationally and internationally. She has been featured in numerous publications and BBC Radio Suffolk during the shows playground games discussion. She is a sought after consultant and advisor to schools and teachers on aspects of behaviour management, along with the social and emotional needs of children and teens. 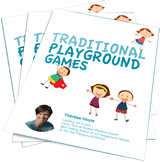 Receive Therese's "Powerfully Positive Playtimes Starter Kit" and subscriber only email updates with resources and tools. © 2018 Therese Hoyle. All rights reserved.